DO YOU WANT TO LEARN HOW TO SKYDIVE? YOU NEED TO CHECK OUR AFF COURSE. The Accelerated Free Fall course starts with one full day of ground school, which will give you the theory bit of your jump progression. You will learn how the equipment operates, to exit the aircraft with your instructors, maintain control in free fall, safety procedures and how to initiate the opening of your parachute.  You will also receive your personal skydive manual and a customised logbook to track your progression. Skydive Diani runs the United States Parachute Association (USPA) training system, which is widely recognised around the world as the safest and most efficient way of learning to skydive. As soon as you are qualified, jump prices greatly reduce and you can skydive for as little as $35 per jump. The price for a complete AFF course is $2,600.